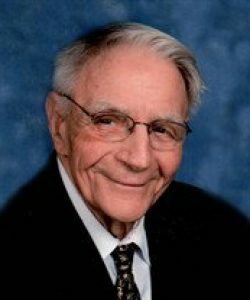 Wayne K. McKinstry, 87, passed away on Sunday, November 25, 2018 at UMass Memorial Medical Center – University Campus in Worcester after an illness. He was born in Worcester, the son of John H. and Minnie E. (Creswell) McKinstry and had lived in Worcester before moving to Sterling 42 years ago. He leaves his loving wife of 62 years, Carol D. (Gay) McKinstry; three sons, Craig S. McKinstry and his wife, Maryann of Whitinsville, Todd A. McKinstry, and Scott W. McKinstry and his wife, Michelle all of Worcester; three grandchildren, Michael McKinstry, Steven McKinstry and Sarah McKinstry-Whittle; three great grandchildren, Marlee, Clara and Jackson; and many nieces and nephews. Wayne enlisted in U.S. Army in 1949. He was a Corporal with Headquarters Battery 191st FA BN during the Korean War and was awarded the Korean Service Medal with five Bronze Stars. After proudly serving his country, Wayne returned home and went to work for the Worcester Housing Authority. He worked for the city for 40 years retiring in 1993. Following his retirement, Wayne went to work for Wal-Mart in West Boylston. Wayne was a member of the Hiram O. Taylor American Legion Post 189 and the Boylston Lodge of Masons in West Boylston. He was a former member of the First Church in Sterling and was a former Scout Master of Troop 87 in Worcester. Wayne was also a member of the Greendale Men’s Club and served with their honor guard. He belonged to the Chockett Club and at one time served as their Chaplin. He enjoyed painting, wood carving and lighthouses. 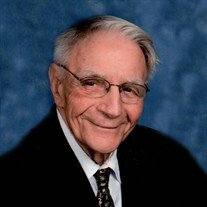 Wayne was best known as a good neighbor, a good friend and a loving husband, father and grandfather. He will be sadly missed. Relatives and friends are invited to attend calling hours from 4 to 7 p.m. on Thursday, November 29, in the Miles-Sterling Funeral and Tribute Center, 100 Worcester Road, Sterling. Funeral services will be held on Friday, November 30, at 11 a.m. in the funeral home followed by a committal service at Worcester County Memorial Park in Paxton. In lieu of flowers donations may be made to the Town of Sterling Ambulance Fund, P.O. Box 515, Sterling MA 01564.